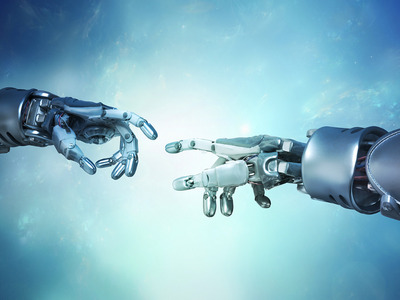 Artificial intelligence (AI) can no longer be standardized, but it should be personalized on a private use level and designed in line with a need-based approach for companies, said a Chinese scientist. Min Wanli, chief machine intelligence scientist of Alibaba Cloud, made the remarks at the five-day Gitex Technology Week which opened Sunday in Dubai. About 4,000 exhibitors from 175 countries, along with 175 startup firms, demonstrated how the fourth industrial revolution will change people's lives. Min demonstrated, at the exhibition, how Alibaba Cloud has helped through AI to improve traffic flows in its headquarter city of Hangzhou, capital of east China's Zhejiang Province. China's tech giant Huawei presented at the exhibition its new digital platform concept to help companies and government entities accelerate their digital transformation process. Using robotics and AI in traffic is also high on the agenda of government entities of the host emirate of Dubai. The Dubai Roads and Transport Authority showcased "the first self-driving taxi in the Middle East," which will be used in test operations in the Dubai free zone Silicon Oasis starting from November. Dubai's Rental Dispute Center signed two Memorandums of Understandings with Dubai Land Department in order to explore the use of AI in solving rental disputes.